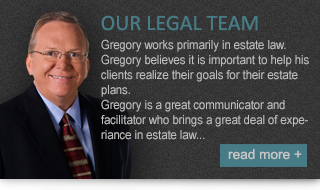 Gregory works primarily in estate law. 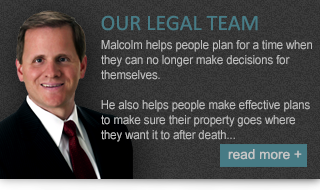 Gregory believes it is important to help his clients realize their goals for their estate plans. Gregory is a great communicator and facilitator who brings a great deal of experiance in estate law. Gregory works his clients to prtoect their wealth for the long term of their estate planning to minnimize any type of risk to their estates.